[SatNews] GlobeCast Australia has announced that GlobeCam — a specialist provider of live, miniature camera technology in the world today — has conducted successful trials of 3D coverage for V8 Supercars Television. V8 Supercars is believed to be the first motor racing body in the world to run 3D cameras inside a race car, after the trials in Darwin last weekend. The trials were recorded and were not transmitted as part of the live television coverage. The GlobeCam team worked to deliver the recorded coverage so that the images and angles could be assessed. 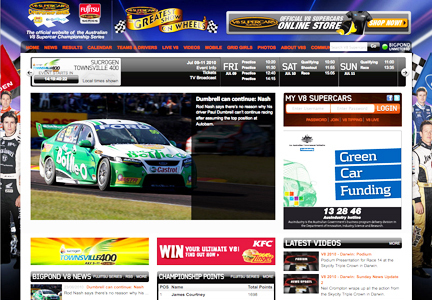 Trials will continue at the next V8 Supercars round in Townsville in mid July. ,br /> Toll Holden Racing Team’s Will Davison’s car was fitted with a customized 3D miniature camera rig. Angles tested included an over-shoulder view of the driver and road; a low angle looking at the driver in action; and a third view through the windscreen, the driver’s view. GlobeCam Manager Gerry Justus said his team is working closely with V8 Supercars, race teams and the Seven Network to create the best possible solutions. To date, 3D transmissions globally have been limited to major events using full sized production rigs, and delivered to 3D televisions and cinemas. The miniature rig for the V8 Supercars tests was custom built by GlobeCam. 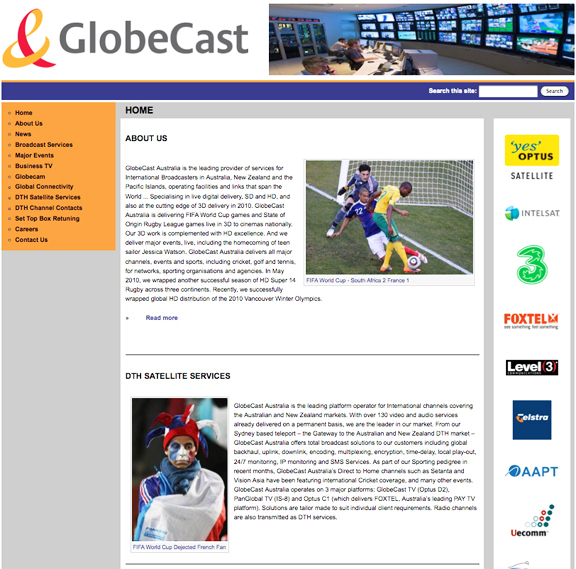 GlobeCam is part of GlobeCast Australia, which is also at the forefront of 3D live delivery to both broadcasters and cinemas, including transmission of 15 FIFA games and State of Origin rugby league games for Australia’s Event Cinemas.